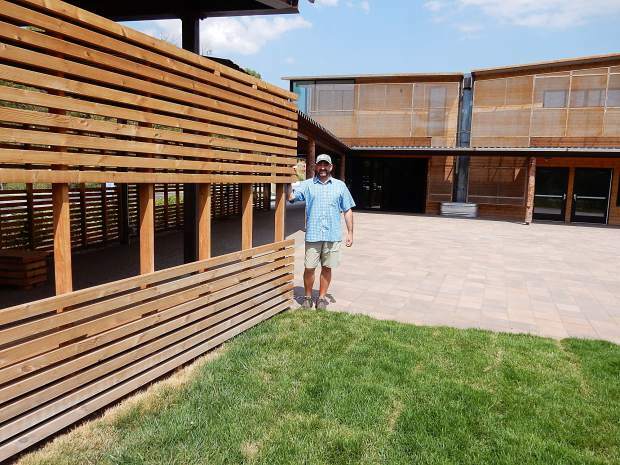 Rick Lofaro, executive director of Roaring Fork Conservancy, stands outside the new River Center on the spacious and partially covered patio. 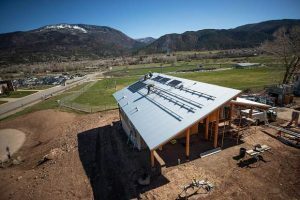 It’s fitting that the Roaring Fork Conservancy is opening its River Center in Basalt and starting a new chapter in watershed activism during a summer dominated by critical water issues. Mother Nature threw a one-two punch at the Roaring Fork Valley and most of the Colorado mountains this year with a puny snowpack and a hot, dry summer. Stream flows are approaching record low levels, Ruedi Reservoir filled only to 90 percent of capacity, high water temperatures are stressing trout and other fish, and the Lake Christine Fire ripped across a parched landscape and threatened homes in Basalt and El Jebel. Now that water issues have captured the public’s attention, the river conservancy hopes its stunning new River Center opens doors to a broader audience. The nonprofit organization was founded 22 years ago in Basalt to inspire people to explore, value and protect the watershed of the Roaring Fork River. “It’s great for this to be coming online because we all know that water is the issue of our time,” said Rick Lofaro, the river conservancy’s executive director. The 3,800-square-foot center is west of and adjacent to Rocky Mountain Institute’s Innovation Center. 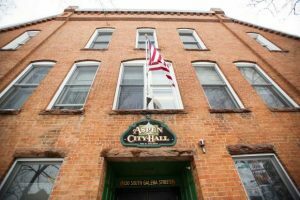 They have created a small nonprofit campus west of downtown. There will be a ribbon cutting for the River Center on Friday and public open house Saturday. The River Center includes a laboratory for its staff, students and citizen volunteers who help monitor water quality. It’s got offices for a full-time staff of seven and additional part-time crew who have been shoehorned into three small quarters in the past. It has meeting space where water experts can convene and a spacious patio, partially covered, where students can converge and special events can be held. Best of all are the great outdoors. The Roaring Fork River is roughly 100 yards out the back door. Old Pond Park is a stone’s throw away to the west. The completion of the building is drawing attention to the pond, which is flanked by a path and has numerous boulders on the edge to provide platforms for fishing. The presence of the natural world convinced the conservancy to dial back plans for interior displays and extensive classroom space. 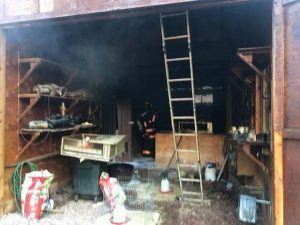 “What a lot of the community was telling us is you’ve got the best classroom right outside,” Lofaro said. 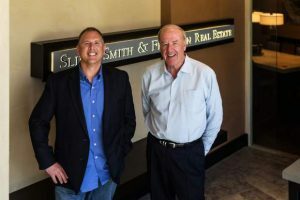 That direction helped the conservancy to “right size” the facility, according to Jim Light, a founding partner of the Roaring Fork Club — a private residential golf and fishing club in Basalt. Light is particularly proud that the Roaring Fork Conservancy has worked out so well from a public-private partnership. The founding partners proposed created the conservancy as part of its land use application in the 1990s. The conservancy was officially created in December 1996. The town government joined the club as a co-founder with approvals granted in 1997. A real estate transfer assessment was paid on initial real estate and membership sales at the club to provide seed money for the conservancy. The conservancy has raised nearly all the $2.8 million needed to construct the River Center. The grand opening of the facility represents a maturation of the organization and an ability to focus and expand its mission. Light said it is fulfilling to see the organization achieve a prime goal 22 years after its founding. “It’s bigger than we could have dreamed at the time,” he said. There also is an increased risk of ash and debris fouling creeks and rivers because Basalt Mountain and lower slopes won’t be able to absorb or capture as much water during rainfall and snowmelt. The conservancy is part of a team working on forest restoration to try to heal the watershed and ease debris flow. For more information on the organization and the grand opening activities, visit http://www.roaringfork.org.